I bought unstoppable because I had coupons and I was so glad I did! It's been over a week since I washed my bedsheet and it still smell lile it just came out of the washing machine. It is a little bit expensive but totally worth it! 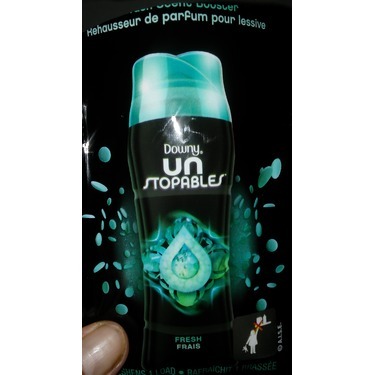 Unstoppables In Wash Scent Boosters works awesome on musty laundry. I put towels in the hamper that were not quite dry and then washed and dried them. When I took them out to fold them they smelled musty. 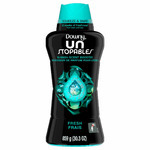 I now wash musty laundry in Unstoppables In Wash Scent Boosters and the musty scent is gone. The fresh scent lasts weeks too. LOVE these for our family! 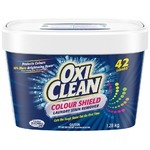 This product is one of the most amazing things there is when it comes to laundry! They smell so so good and they do their job VERY swell and make our clothing smell fresh forever! I have yet to have the smell fade before I wear something again... that’s how incredible they are! I’d buy this over and over, no doubt! I love these scent boosters, I can smell it as soon as I open the package. My clothes smell so fresh and amazing coming out of the dryer, the smell lasts for 3 or 4 days before starting to fade. 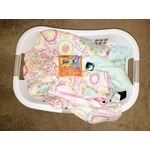 Downy Unstopables are the best for keeping your laundry smelling fresh long after being washed. I washed my comforter and 2 weeks later I'm still loving the smell! Fresh scent definitely buying again. 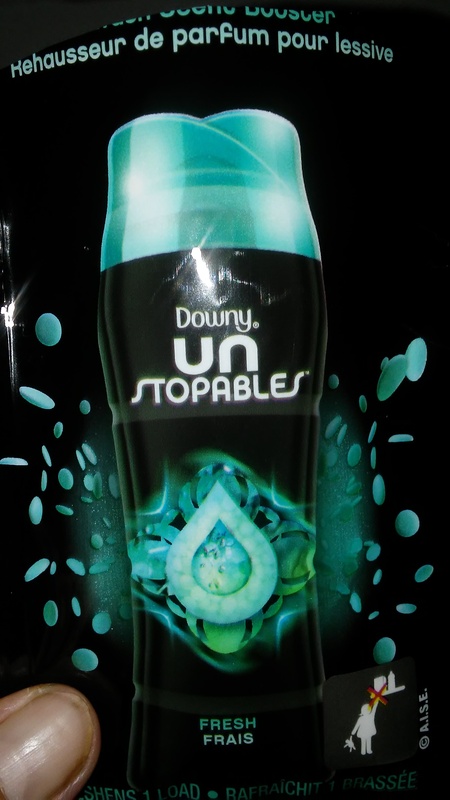 I was given packs of Unstopables to try and not only does my laundry smell great but so does my house. They left a nice fresh scent in my clothes and I would definitely buy. Everyone in my house noticed how good they smell. Well now I know what all the fuss is about with having a fresh scented load of laundry. Even my son asked why everything smelled so good. I love washing my sheets and smelling them for days and days. I wasn't sure about these at first but it didn't take long for me to really like the product. I played around with the amount to use to get the right amount of sent on my laundry. 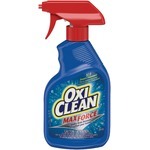 I use this in every load with the exception of the babies clothes. Its a staple in my house now.